Why a degree in mechanical engineering is a better choice for students? Why do we rank mechanical engineering degree at higher merits/ ranks in almost all universities and colleges of the world? Over the past few decades, mechanical engineering degree has raised its value and demand among aspirants and no decline has yet been seen in reputation and scope of mechanical engineering degree. That is why it is often said to be an ever green field. 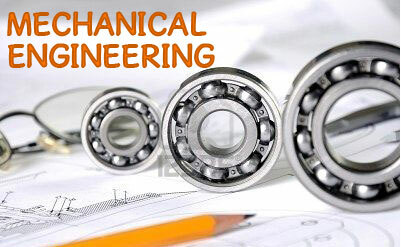 Mechanical engineering is a diverse field of engineering. This diversity allows mechanical engineers to pursue a career in any field of life. So it gives you a wide variety of choice after graduation. There are many students who wish to change their field of work after they graduate. So if you are a mechanical engineer, you will find it easy to plunge yourself into a completely new field. Either you want to be a project manager or a technical consultant, being a mechanical engineer you can survive in any field. When students get admission in any engineering degree, mostly all of them are unaware of their future. They do not have a clear picture of what they will do after graduation. Almost 90% of them end up with a totally different career path after graduation. Some students tend to incline more towards other fields of engineering. It happens with everyone. Happened with me as well. I am a graduate in mechanical engineering but I started working in waste management field. That was totally different environment. But I found it very interesting field. I worked on projects for producing energy from waste. Today I am working in livestock field. Here I am exploring a completely different environment. The more you work in variety of areas, more you learn about opportunities in that field. I know many mechanical engineers who are doing awesome jobs as environmentalists because they did masters in environmental engineering after bachelors in mechanical. This is why I said mechanical engineering is diverse in its scope, Even if you don’t like to be a mechanical engineer at work, you can change your path easily. You can pursue higher education in civil engineering, environmental engineering, computer science, software engineering, quality control, project management or even supply chain management. Swapping field of work is not difficult for mechanical engineers. This was just a little discussion on why mechanical engineering is a better choice for students and why do we say that mechanical engineering is the best field of engineering. Why engineers are not getting job offers, is a totally different topic. Agreed with point of view under consideration here. This is true that a mechanical engineer can adjust himself/ herself in any environment. Just as an example, a software engineer cannot study/ understand mechanical courses/ subjects for higher studies but a mechanical engineer can always get admission in any software engineering course of the world.